With information steadily coming out about the upcoming Star Wars Episode VII movie set to release on December 18, 2015, fans have been treated to the first look at one of the new sets for the movie! 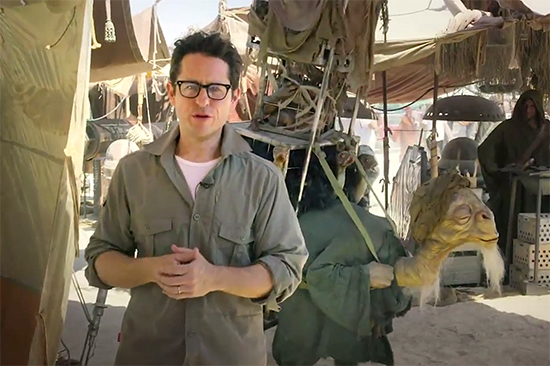 The video, hosted by director JJ Abrams, shows off the set located in the Abu Dhabi desert, and even shows off the first exclusive look at one of the new aliens from the movie. The video also announces the Star Wars: Force for Change contest, in which fans can donate money to have a chance to appear in the brand new film! Prizes for this contest include the opportunity to meet cast members, and to appear on film as a Star Wars character in the movie. Check out the video for more information!